If there is a sadder, grimmer place to be than in prison during the holidays, I don’t know where it would be. But for 2.3 million people in America, that’s exactly where they’ll spend this “most wonderful time of the year” – isolated, forgotten, and shunned by society. Apparently, tidings of comfort and joy this holiday season are only going out to people making over $500,000/year. For instance, in my fair (??) state of Georgia, with the highest percentage of people in prison of any place on the planet, the Department of Corrections and governor’s office have decided to eliminate the one hopeful link in the incarceration chain – prison chaplains. And that is really unfortunate – not only because it’s inhumane, but also because research has proven that faith-based initiatives have the greatest capacity to rehabilitate prisoners, and reduce recidivism rates (currently at 33%), thus making society safer for all of us. It used to be that one chaplain served 500 inmates in the 32 prisons across Georgia. 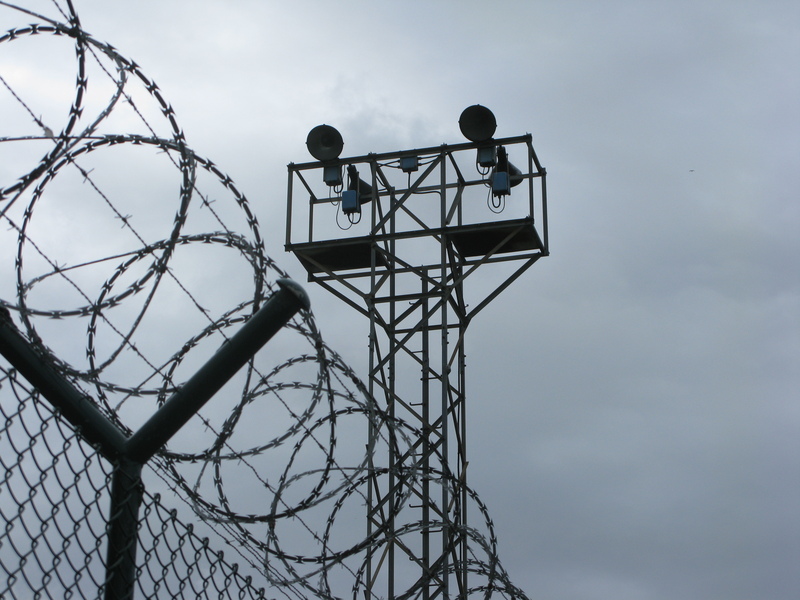 But since 2008, there is one chaplain per 3,000 inmates in multiple prisons – which means they simply can’t provide the counsel, communication, and guidance that may be a prisoner’s only hope for changing his or her life. And that’s where HeartBound Ministries and the Georgia Prison Chaplaincy Project come in. 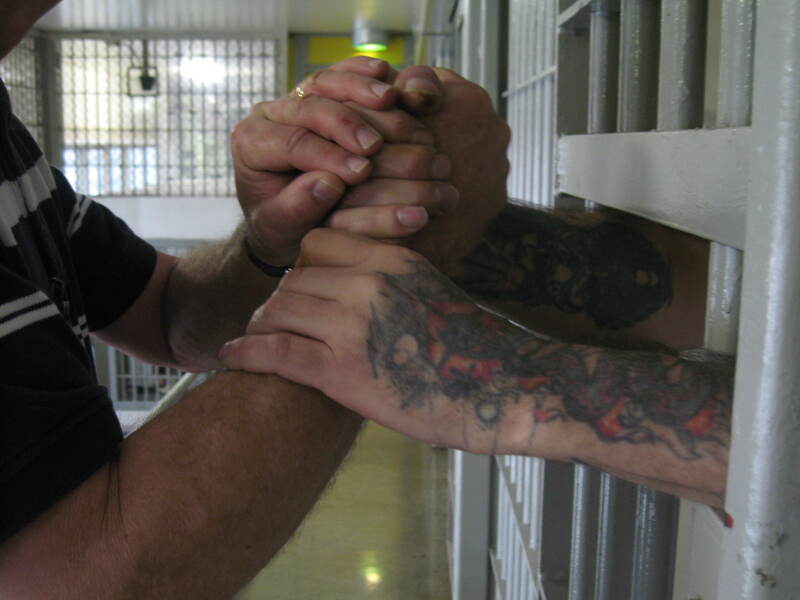 As passionate advocates for chaplains in prisons, HeartBound supports their work and petitions legislators to fund them. It also ministers to the physical and spiritual needs of inmates through programs designed to positively impact and change inmates’ lives and foster successful transitions back into society – a critical service with 1,100 prisoners being released from prison in Georgia every month. Of course, Georgia is just a tiny slice of the pie. 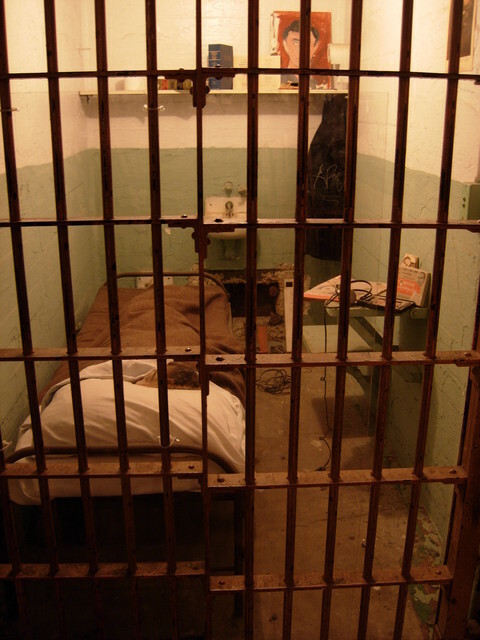 America incarcerates its citizens at a rate completely unknown in the rest of the world. Despite the fact that violent crime has dropped 25% in America, one in every 100 of our citizens is now behind bars –almost half of them for nonviolent crimes. 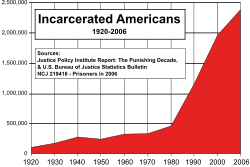 Thanks to mandatory sentencing brought in by the laughably inept War on Drugs, the United States, with under 5% of the world’s population, now has 23.4% of the planet’s incarcerated folks-–most of them nonwhite (70% of the inmate population), poor, and young. 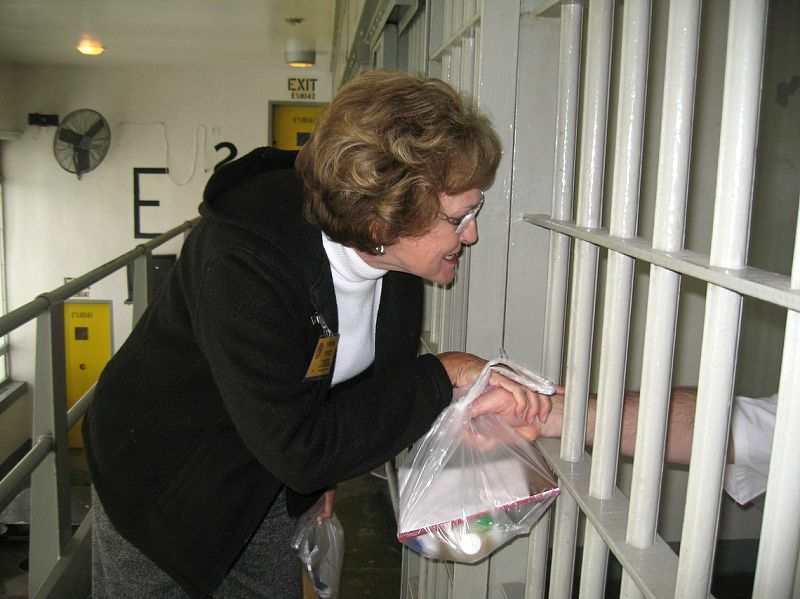 I’m spending this morning at Jackson State Prison visiting some of those guys, helping to distribute Christmas bags with HeartBound Ministries, which has taken it upon itself to follow a Christian calling: “I was in prison and you visited me.” With members of other congregations that HeartBound has inspired to “adopt a chaplain,” we try to provide a thoughtful, personal gift to every single inmate during the holidays. I’ve done this the last few years and I can tell you, it’s profoundly moving and totally heartbreaking to witness fellow human beings so alone. So… please. 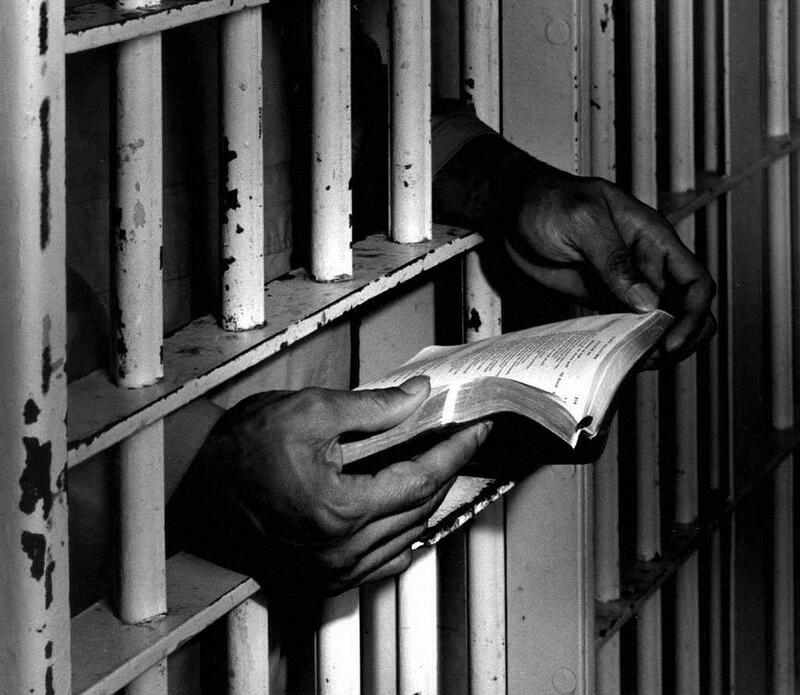 If you’re moved by faith, click here to sign the petition to keep chaplains in the Georgia prisons, and click here to support the Georgia Prison Chaplaincy Project. And HeartBound Ministries’ mission to reach out and touch somebody’s hand, make this world a better place if you can.